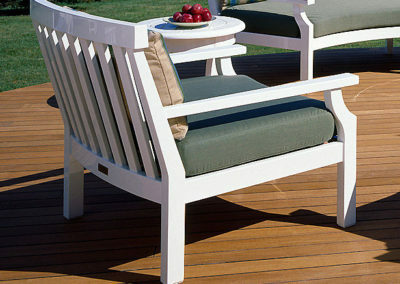 Features: Weatherend's signature curved dining chair is now available in a casual chair height. 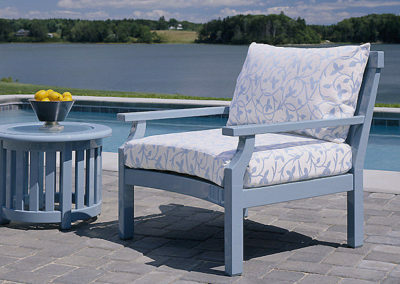 Ottoman (#5921) is also available. 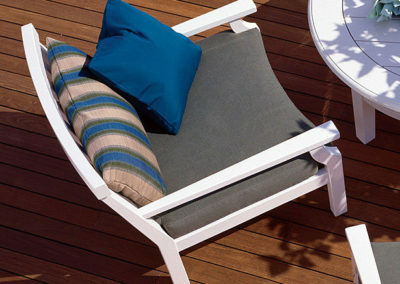 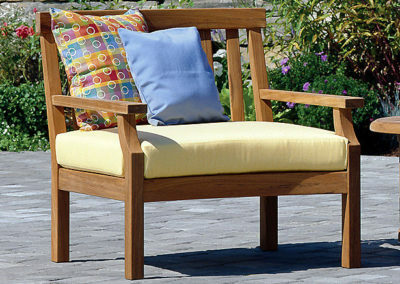 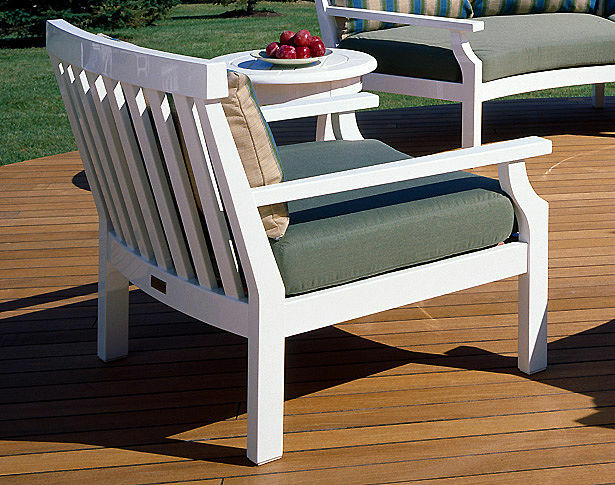 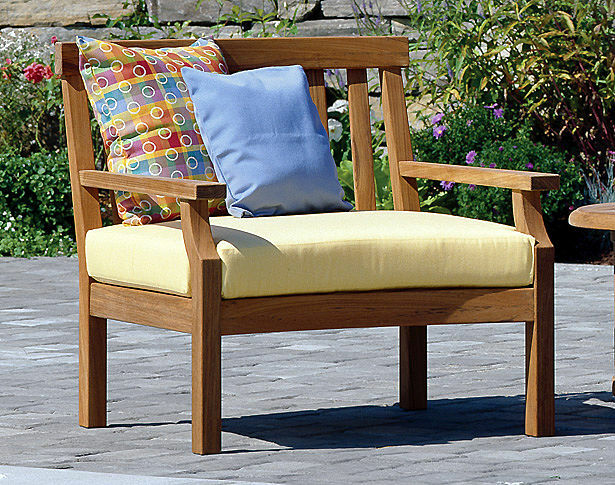 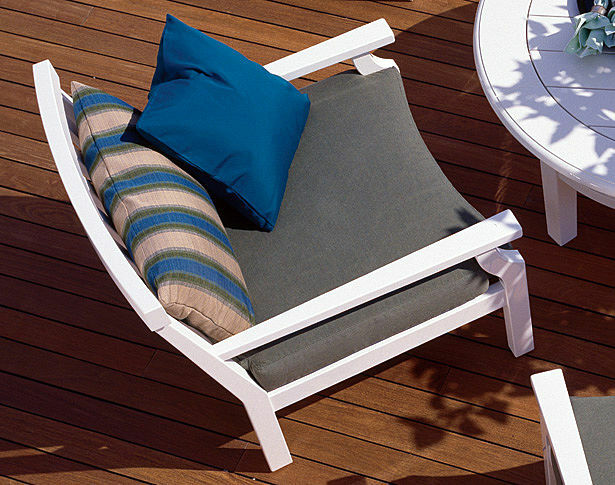 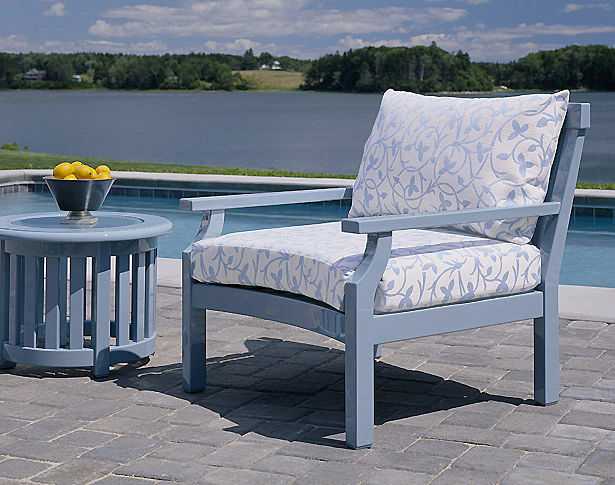 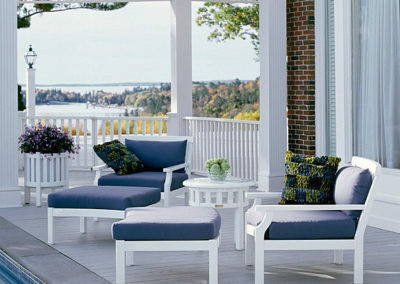 The Weatherend Casual Chair has oversized cushions offered in Sunbrella or COM fabric. 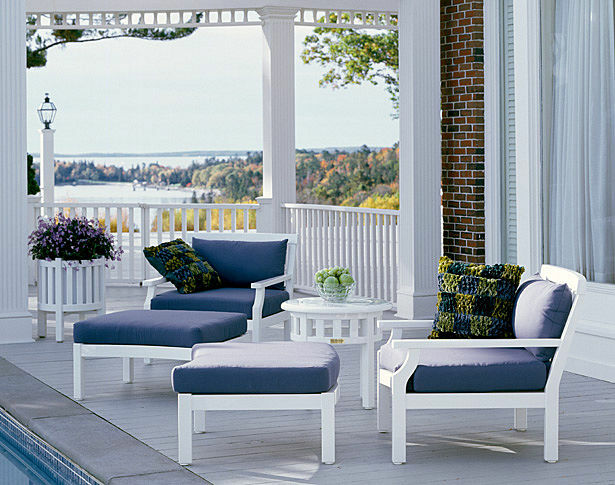 Complementing ottoman (#5632) is also offered.